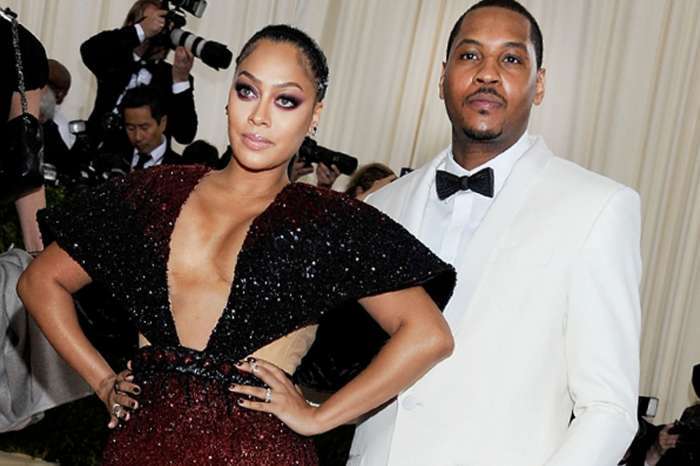 It was one of the biggest breakups of 2017 when Lala Anthony announced that she would be splitting from Carmelo Anthony. The NBA player has since been doing everything in his power to win back his leading lady. We’ve got the scoop on who inspired him to kick up his reconciliation efforts. Carmelo is reportedly close friends with Jay Z. On Jay’s last album, “4:44,” the rapper admitted to and apologized for his infidelity to Beyonce. The intimate piece shared everything from why he cheated, to how Beyonce reacted, and even the journey to gaining back her trust. Not only was the New York native praised for stepping up as a man but the album is one of his most critically-acclaimed yet. Anthony is taking a few pages out of his personal friend’s book in order to gain the favor of his wife Lala back. It seems like his efforts have not gone unnoticed because, for the first time in a while, Lala (along with their son Kiyan) showed up to one of the baller’s games to show her support! This comes after Lala filed for a separation in April of 2017. The TV personality and actress allegedly found out that her husband was being unfaithful and may have even fathered a baby with the woman that he cheated with. Whatever the situation is, we hope that the couple does what’s best for them and for the sake of their 10-year-old son. Do you think that Carmelo and Lala should give it another go?